Seeing is believing, but smelling would seal the deal. What a minute. What day is it? This is a throwback to a 2015 Faygo Facebook joke from The Faygo Book to you. Pass it on! Where can I buy Faygo? Finding Faygo locations can be a treasure hunt, even in the Detroit area, where the stuff is made. One of the best places I have found has been the Value Center Marketplace at 27428 Six Mile Road, Livonia, MI 48152. 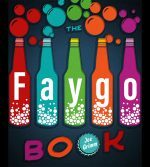 I was tipped off during a Faygo Book presentation at the Redford District Library. Not only did the store have a great variety, it had great prices. I bought 2-liters for a buck. The store had 12-packs of cans as well as singles in the 20- and 24-once sizes. Just look at this beautiful Wall of Faygo.